BeagleBone Black case contest – Third round of winners, week 3 #beagleboneblackcase @TXInstruments @beagleboardorg « Adafruit Industries – Makers, hackers, artists, designers and engineers! 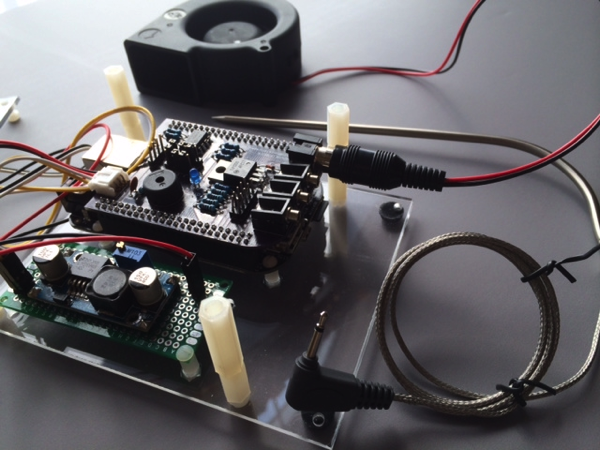 Say hello to third round of BeagleBone Black case winners! We picked 10 of the entries we saw or were emailed. If you entered and did not win check back next week, we still have 10 more to give away! 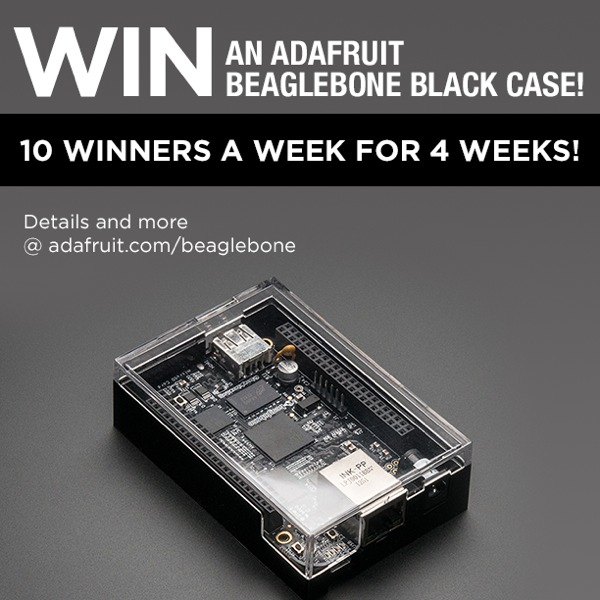 Congratulations to all the winners, we’ll be contacting you to send your BeagleBone Black case. You can also email us ([email protected]) to claim your prize! 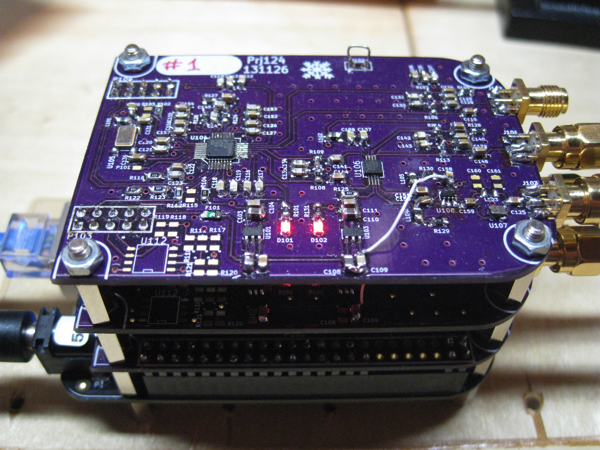 Jim Kleiner mounted an ADC Board on a BeagleBone Black. 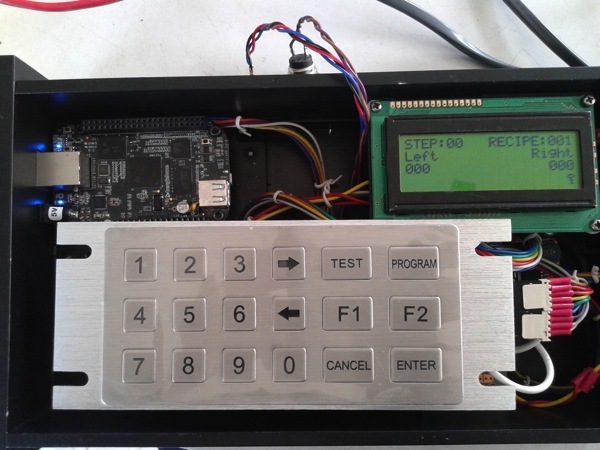 BeagleQ bbq controller based on the beaglebone black platform. 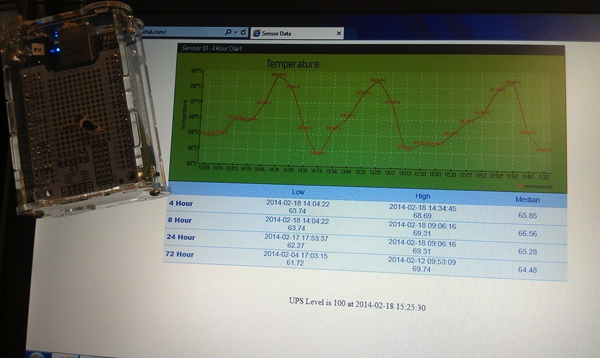 The goal here is to build a PID based BBQ controller that is fully web enabled. 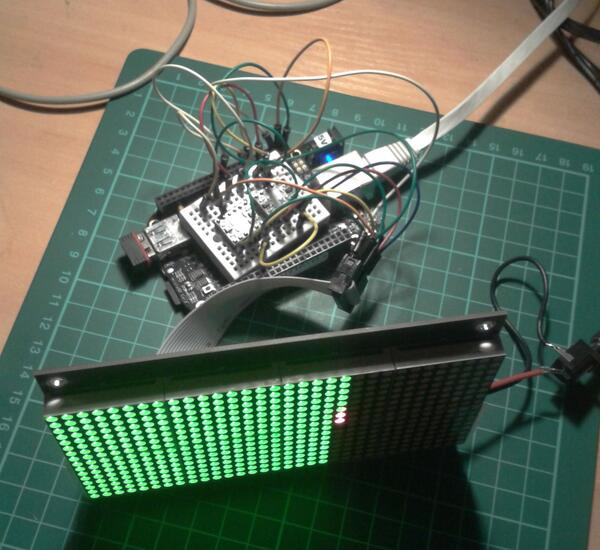 The goal of this project is create a cape for BeagleBone Black to drive a Sure Electronic 32×16 LED Display. Glen Akins had 3 different submissions and they were all excellent. We liked this 12 x 12 Christmas light matrix the best! This video shows a redo of an earlier project from my video “12 x 12 LED Matrix Driven by MacBook and FPGA.” In the first version of this project I used a MacBook and an Altera FPGA to drive a 12 x 12 matrix of GE Color Effect RGB LED holiday lights. In this updated version of the project, I’ve replaced the MacBook and the Altera-based FGPA board with a BeagleBone Black and a ValentFX LogiBone FPGA board. Really quick demonstration of a simple Erlang application that lets you control the BeagleBone’s onboard LEDs via a web page. It was built using the Nerves project (http://nerves-project.org). 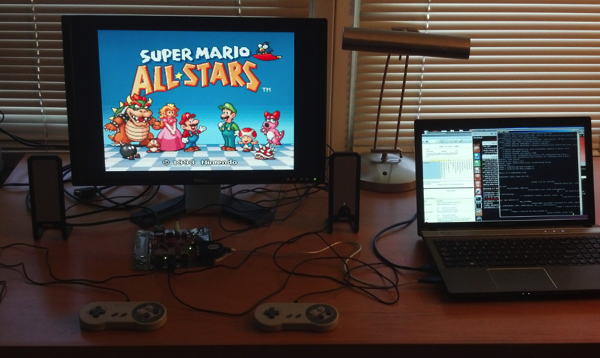 BeagleSNES is a complete Super Nintendo emulator system for the BeagleBoard-xM and BeagleBone Black hardware platforms. The version 0.5 release of BeagleSNES improves upon the previous version by adding support for the Circuitco LCD3 cape board for the BeagleBone Black, using a new XML-based configuration file to add games to the game selection GUI, adding button mapping support so that you can use your favorite gamepads with BeagleSNES, and making the BeagleSNES filesystem mountable on your Windows, OS X, or Linux PC to easily add games or change the configuration. Full file system images, source code, and documentation are available for download from the BeagleSNES web site. 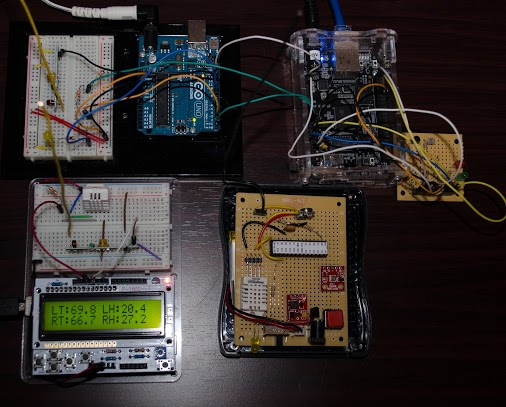 Here’s my current project and entry to the #beagleboneblackcase contest: a Home Weather Station Network composed of 4 stations, powered by 2 arduinos, an atmega328P, a beaglebone (to send data online) and various sensors (DHT22, TMP36, Baro Pressure). This uses RF Links to communicate and then uploads data to Xively. And just in time for a new Linux Outlaws! This is the music player in my workshop, and I control it over the network with any device with a fairly standard compliant browser. Writes to local MySQL DB, talks to central DB over ssh, does SNMP, etc. Measures light and temp. I could and probably should rig up an LCD display.